•State of the art design for today's desktops. 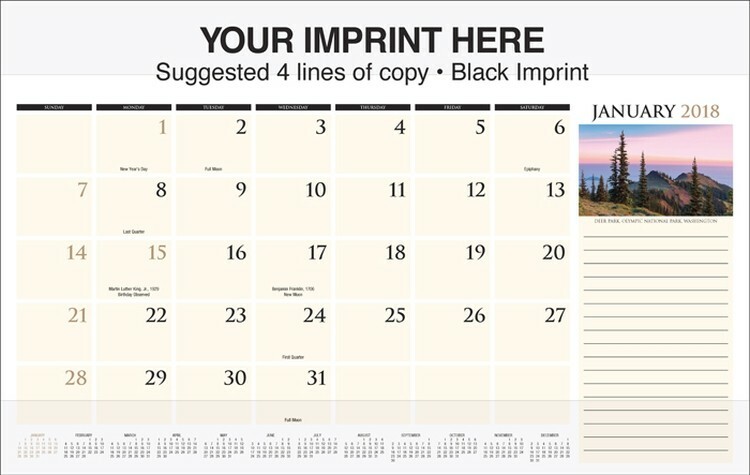 •Large date blocks on each page and full Year-at-a-Glance calendar at the bottom. • IMPRINT AREA: 20" x 2 3/4"